It’s here again: the time of year when those who love Christmas start planning their Christmas card list, and those who don’t imagine ripping down retailers’ premature decorations. 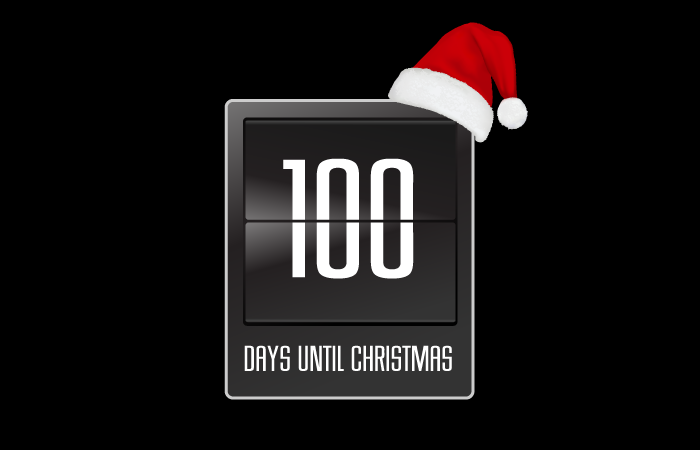 Love it or not (we’re sure you do), with only 100 days left until Christmas now’s the time to start planning your yuletide campaigns. To get you thinking, here are ten of our favourite Christmas campaigns (in no particular order). Canadian airline WestJet delighted unsuspecting travellers with a real-time Christmas holiday surprise that delivered personalised gifts to guests arriving in Calgary, Canada as part of a true “Christmas Miracle.” Having captured the experience, WestJet posted the holiday video on its YouTube page and within days, it was the most shared Canadian viral advert in 2013 and among the top five globally. 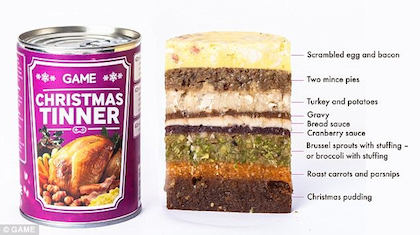 Dubbed ‘Christmas Tinner’, the nausea-inducing concoction comprised of nine layers of food – ranging from a starter to a pudding all in a tin! GAME retailer found that almost half of gamers surveyed intended to spend the majority of their holidays on their consoles. Apparently, tinned food saves on washing up and they’d even made a ‘without sprouts’ version for those of us who hate them. This famous slogan was created by Clarissa Baldwin, Chief Executive of Dogs Trust, back in 1978 – and it is still as relevant today. The very agile team at Ann Summers leapt on the opportunity to provide their own “twist” on the John Lewis advert. The ad had many crying out in laughter. NORAD’S tradition of tracking Santa on Christmas Eve started in 1955, when a Sears and Roebuck advert promoting the Talk-to-Santa hotline inadvertently sent callers to NORAD. After recovering from the surprise that the call was not from the Pentagon or the White House but instead a little boy inquiring if the commander was Santa Claus, Colonel Harry Shoup asked his team to check their radar for signs of Santa’s sleigh and a tradition was born. 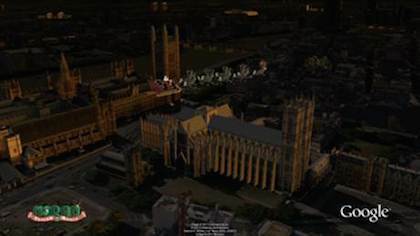 The Santa tracking tradition has grown over the years and today it’s also possible to track Santa using Google Earth and Google Maps on the NORAD Santa site and on your mobile phone as well. 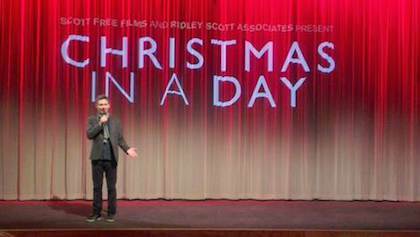 Sainsbury’s teamed up with the Oscar-winning director, Kevin Macdonald, to create a feature film called Christmas In A Day. The film features a series of clips of people celebrating Christmas all around the UK and portrays the true meaning behind Christmas. The tearjerker comes at the end of the film where a family are recording a message for their dad in Afghanistan and he then walks through the door behind them showing the viewers ‘the moments that make Christmas special’. Back in December 2007, Travelodge announced that all married couples called Mary and Joseph would be offered a free room at one of their hotels. The hotel chain said that husbands and wives who showed an official marriage license would get a night’s stay during the 12 days of Christmas and it was their way of making up for the hotel industry’s terrible failure of not having any rooms left when Jesus was born over 2,000 years ago. In a bid to improve his image back in 1993, criminal suspect Snoop’s record company fixed it for him to distribute Christmas gifts at a community centre in South Central, LA. This parody of the food parcel distributions that had been one of The Black Panthers’ most effective political tactics was the start of a spectacular process of rehabilitation. Possibly the cutest Christmas Viral of all time… the YouTube video titled “#XMAS JAMMIES – Merry Christmas from the Holderness Family!” saw a family from North Carolina create a viral Christmas video singing along to the theme tune of Will Smiths ‘ Welcome to Miami’. The viral showed each family member’s individual accomplishments and the video struck over 11 million views around the world. We’ve had our research Santa hats on and identified which media are looking for Christmas content… and which ones are not. So if you’re looking for some quality coverage this Christmas, get in touch. Have we missed one? 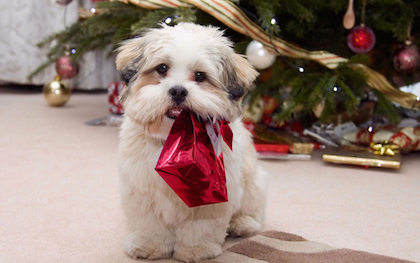 Tweet us at @onbroadcast with your favourite Christmas campaigns.